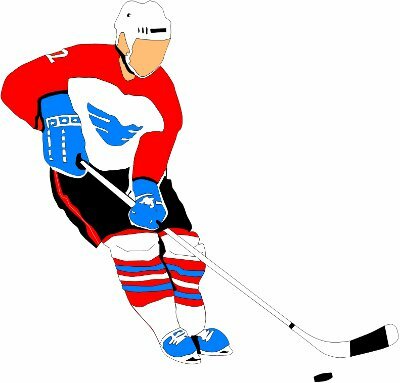 Ice hockey is a fast-paced sport that has been around for a very long time. The first organized game was played in Montreal on March 3, 1875. People from the United States and Canada refer to it as just "hockey", while other countries refer to it as "ice hockey" (as there is also a sport called "field hockey"). The object of ice hockey is to use skates and sticks to put a rubber puck into the opposing team's net. A team on the ice consists of six players: three forwards (center, right, and left wing), two defensemen, and one goalie. The job of the goalie is to stand in the net and prevent the puck from entering the net. North America, Canada, and Europe have more fans for ice hockey than any other place in the world. The highest level of hockey in North America is the National Hockey League (NHL). What is another type of hockey called? What is the object of playing ice hockey? What is the job of the goalie? Where is ice hockey most popular? What is the highest level of hockey?